For Senior portraits sessions I offer a variety of different collections that include everything from gift size prints, to collections with graduation announcements and as well as digital and print collections. Most of my clients opt to create their own custom collection from our a la carte options since each family is so different. 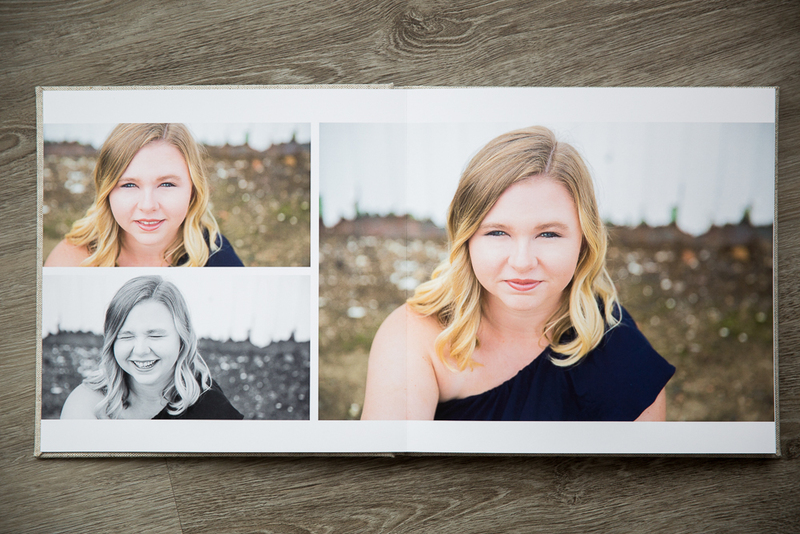 Most commonly my Senior clients invest in a combination of Graduation Announcements, a Custom Signature Book, framed gallery wall artand gift prints for their families. Check out some of our most popular products for Seniors! Our press printed Graduation Announcements include double side printing and are sold in sets of 25 and are available in either 4x6 or 5x7. They are fully customizable and include your choice of paper and envelope options. This is a great way to announce your Senior’s accomplishments or even invite friends and family to a party in their honor. Take a look at some of the custom graduation announcement design templates that we offer which are fully customizable and can be changed to suit your taste. A new product we are offering is a Custom Signature Book which is a great surprise gift for your grad! We can incorporate letters from friends and family directly into the album along side of your favorite images from their session, or simply leave it blank to allow for handwritten notes. Or similar to our Interactive Wedding Guest Bookwe can customize unique questions to have all of the guests at your Senior’s graduation party! 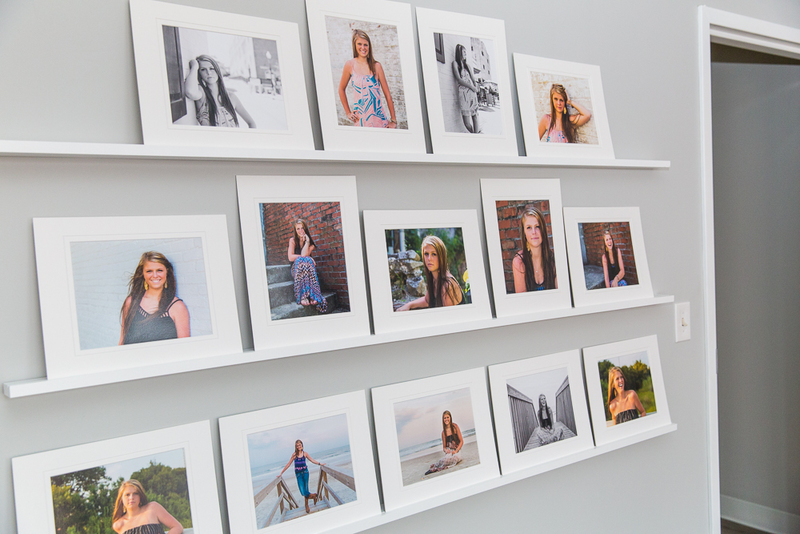 Many clients love the idea of creating a gallery art wall within their home incorporating images from both their senior sessions as well images from an upcoming family session or current favorites already in their home. Our collections come in groupings as small as three framed prints up to nine or more. If you have a particular place in your home that you would love to personalize with a wall art gallery please take measurements and a quick photo to share during our appointment. Using our custom software program we can place a gallery collection on any wall in your home to scale with your favorites images on display! Want to see some examples of layouts our clients love? Check out this Wall Art Gallery Inspiration Guide.